1. (+) Tess, the protagonist - Practical, smart, fiery, determined, strong. A great perspective to read. I LOVED that she was a servant--not that I enjoyed seeing her be treated badly or anything but just how often do you read a story from that kind of perspective? Historical romance & history itself are often written from the perspective of the victor, the rich, etc. etc. It was incredibly refreshing to have that other take on the story and one that was so heart-breaking. You'll really empathize with Tess. Plus, her reactions were always realistic, which is a nice touch for a paranormal world. 2. (+) World-building - More than just one world to build -- Gray had to establish both the paranormal world and the historical world, and on both counts, she succeeded. I never once doubted that Tess was on the Titanic; Gray adds a lot of details that make the ship seem like an authentic setting. I also enjoyed her werewolf world. I want to know more about the Brotherhood--how did wolves become this way? I think there was a mention of it but I want more and I want to know how such... misogynistic opinions came to exist. 3. (+) Relationships - Every relationship felt complex and well-developed .... LOVED MYRIAM. Ahem, and that's not just 'cause she's Lebanese ;p. It's mostly because the friendship between Tess and Myriam became authentic after only a few days... In general, I loved how Gray used all the pasts between the characters to form these dynamic situations layered with such incredible tension. 4. (+) The Villains - Just as in her Evernight series, Gray has created two sets of villains.. a couple close to Tess and one newly met. One set was incredibly realistic - there are some people who are that nasty and elitist - and the other set? Well, that's just the paranormal. Regardless, though, both posed a great threat to Tess that made me believe in the danger inherent to every moment she was on and off board the ship. 5. 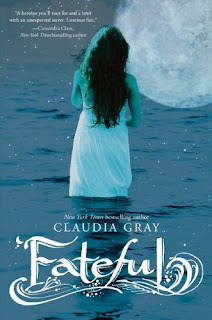 (+) The Romance - Because even though it was intense and had some elements of paranormal romance that I don't like--i.e. references to their obvious connection--it still had me sold. I love their deep-seated belief in each other and the way they admired each other's strengths and weaknesses. More importantly, I understood why they ended up together, why they were attracted to each other to begin with. Gray is a master at spinning romance. 6. (+) Accuracy - I mentioned this in both the protag. and world-building sections, but really it deserves its own section. The details of servitude and Tess's relationship with her employers, with the other passengers, even what happened when the RMS Titanic crashed--everything was vivid and done so well that I feel like Claudia Gray deserves extra props for her research. 7. (+) The Ending - Was not expecting that to happen... and yet... it was wonderful! I can't say anymore because I don't want to spoil it for you guys... 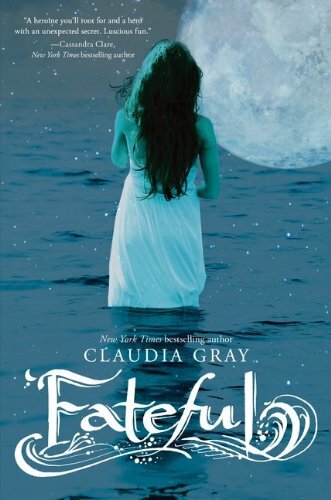 Still, let me just say that Claudia Gray is brilliant! There. :). 8. (+) The Writing - The attire and dialogue and emphasis on class were all historically accurate not to mention the descriptions of the world as seen through Tess's eyes. In general, the writing was really fluid and evocative of a tragedy just waiting to happen. 10. (+) The Cover - It's even prettier when printed. It's on shiny paper that really makes the cover look like a dream, which is almost what the story feels like... werewolves on the Titanic.... Also, the use of so much blue really captures the tragic edge to the book. Wonderful. This is by far Claudia's Gray's best work yet. I hope you guys give it a shot. I have never heard of this book before but based off of your review, I will definitely be keeping my eyes open for it. I'm not sure how this book could have done better with the pacing. There's only so much you can work with re: already knowing about the Titanic. Myriam was a lovely side character; I can't remember, now, over a year later, her ironing Tess' clothes, but that's just adorable.